This page documents how to add and configure directories from custom sources. 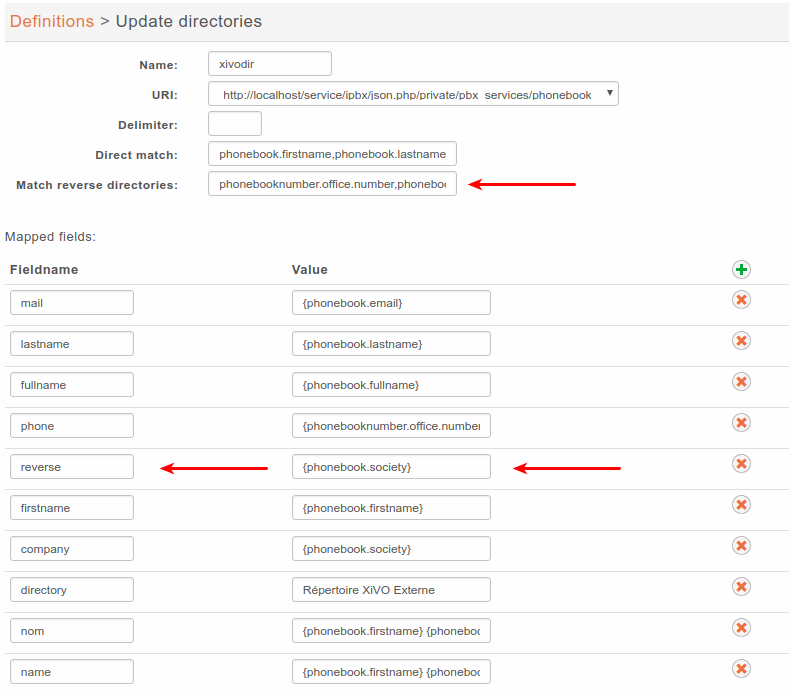 Directories added from custom sources can be used for lookup via the directory feature of phones or for reverse lookup on incoming calls. Phone IP should be in the authorized subnet to access the directories. See Remote directory. See LDAP for adding this source. You can add new data sources via the Configuration ‣ Management ‣ Directories page. Go in Services ‣ CTI Server ‣ Directories ‣ Definitions and add a new directory definition. It’s possible to do reverse lookups on incoming calls to show a better caller ID name when the caller is in one of our directories. Also, reverse lookup is performed after caller ID number normalization (since XiVO 13.11). This configuration will show the contact’s company name on the caller ID name, when the incoming call will match office, mobile or home number. You will find below some useful configurations of Mapped fields. Edit the default display filter or create your own in Services ‣ CTI Server ‣ Directories ‣ Display filters. Each line in the display filter will result in a header in your XiVO Client. Field title: text displayed in the header. Default value: value that will be used if this field is empty for one of the configured sources. Field name: name of the field in the directory definitions. The specified names should be available in the configured sources. To add new column name to a directory definition see above. 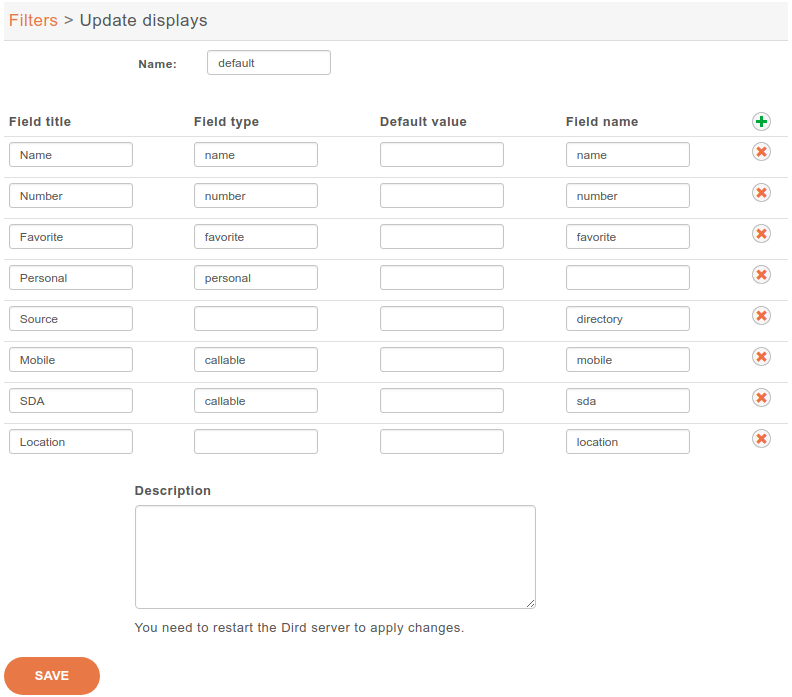 The only way to configure display phone directory is through XiVO dird configuration. Go to Services ‣ CTI Server ‣ Directories ‣ Direct directories. Add the directories in the Directories section. Go to Services ‣ CTI Server ‣ Directories ‣ Reverse directories. Add the directories to include to reverse lookups in the Related directories section.